It was a place I would have never dreamed of going - and would have therefore likely never experienced - had I not ended up in a city so close. But as the universe would have it, I was meant to go to Prague, perhaps just to learn the lesson that I was very wrong for not dreaming about the place, and also very wrong for making uneducated assumptions. 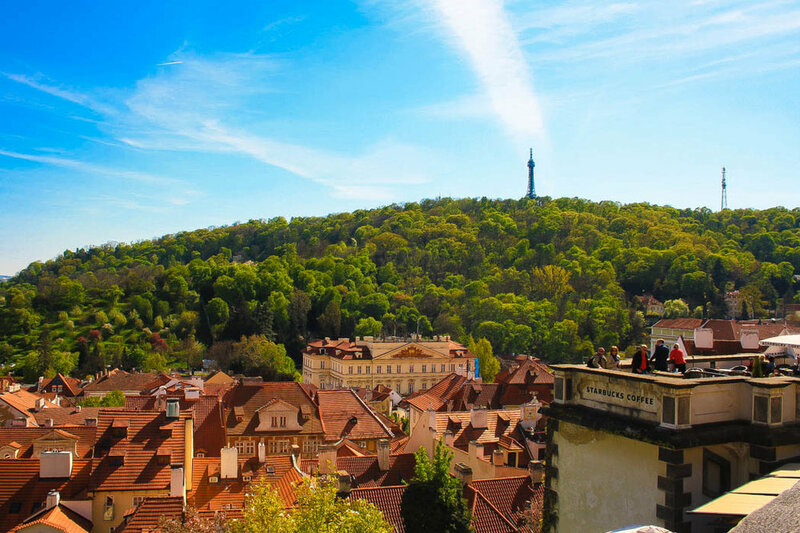 Prague, as it turns out, is an incredibly dream worthy destination. Prague, a relatively quick train ride from my temporary home of Budapest, sprouted up on my list of nearby possibilities for a getaway from my getaway. A vacation from my vacation, if you will, which became increasingly necessary as my travel itch syndrome started to grow stronger, its "go somewhere now" symptoms becoming more and more apparent. I had heard stories of Prague, Czech Republic from travelers who'd visited the city before me. And though they'd all communicated the beauty of the place and the worthiness of visiting it, I never quite believed them. When I thought of Prague, my mind and memories struggled to bring forth any images or references, leaving me with a general blank that led me to think: Prague... hmmm, how good can it be? And with such low expectations and relative ignorance of the city, I found myself overwhelmed with my first impressions of the place, which - with its medieval beauty and unique characteristics - impressed me beyond belief. But that's just the thing about expectations, isn't it? Sometimes it seems having high expectations is just the way to guarantee disappointed. My trip to Prague proved that the opposite is true, too: having low expectations can be the perfect route to overwhelming, unexpected satisfaction and wonder. And as I wandered through Prague on the perfectly sunny, no clouds in the sky type of day, I saw the city in the best light possible. Tourists and flashing cameras filled every inch of the Charles Bridge, and with each step that brought me closer to the Prague Castle, I seemed to fall more and more out of indifference, and more and more in love. Prague, perhaps once the straggling underdog on my list of "to see" places, is now a top runner on my "have been" list, and is certainly nearing the top on my "must go back" list. (While I'm on the subject of low versus high expectations I should also mention this: my expectation that Prague would be an expensive city to compare to London or Paris was completely wrong, too. Prague is not only just a beautiful wonder of a medieval city, but is also an incredibly affordable one!